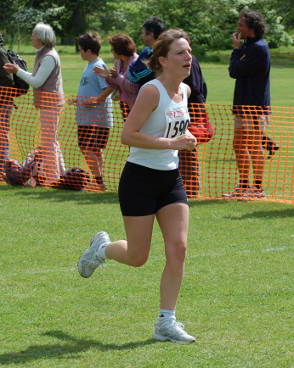 OxPhysio have been involved in the Oxford half marathon in support of Helen and Douglas House for a few years now, supporting runners both before and after the race and providing physiotherapy when needed. We are also heading into the last few months before the London Marathon so we thought we'd compile some tips that would be equally useful to those planning on running a long distance race, as to those simply training to keep fit. 1. Try to vary your training, you may want to consider mixing your runs with hill sessions, speed sessions, along with slowly increasing your distance. 2. Make sure you incorporate rest days to give your body time to recover. 3. Cross training is important as this spreads the load through the body. You may also want to consider cycling, running, swimming as a way of training your cardiovascular system without the impact. 4. Consider a regular stretching regime when running as muscles will get tight during your training. Stretch each muscle group for up to 1 minute. 5. Ensure good hydration on your longer training runs. 6. Try taking with you energy gels or sugary sweets such as jelly babies to keep your energy levels up on your longer runs. Find what works for you now and don't change it on the day. 7. Plan your run, run your plan. 8. Run at the pace you're comfortable with and planned for. 9. You don't have to run the full distance prior to the race. 10. Remember to pace yourself on your longer training runs. Do not run too fast at the start or be tempted to keep up with the people in front of you. 11. Don't forget to taper off a week before the race, this will give your body the chance to recover from your training regime without affecting your fitness, getting you in tip top shape for the big event. 12. Don't train if you feel unwell and only resume training once you’re fully fit, leaving at least 10 days after recovering from a viral infection. We Hope these tips are useful. If you have any problems or niggles it's important to get them sorted out before they become longer term issues. Feel free to get in touch with us if you have a problem for which you think physiotherapy may help.